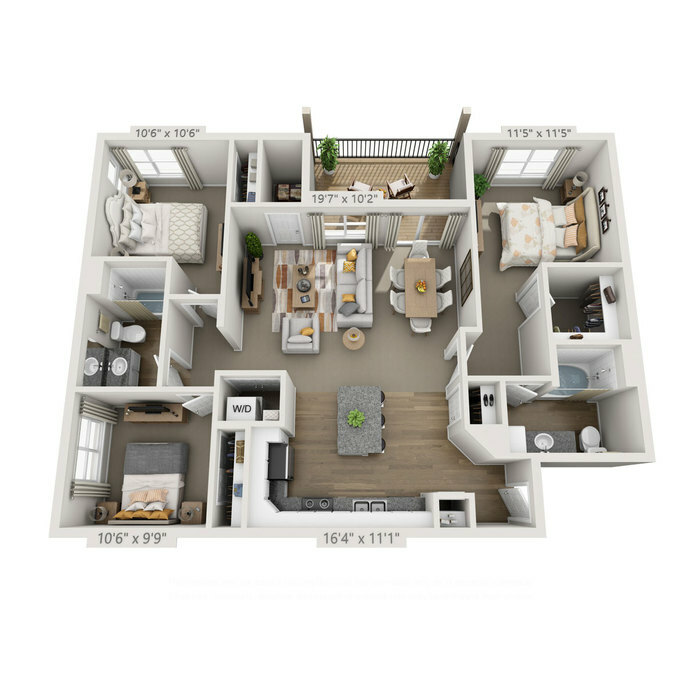 The homes at Elements at Prairie Center have a remarkable appeal that radiates comfort and luxury. 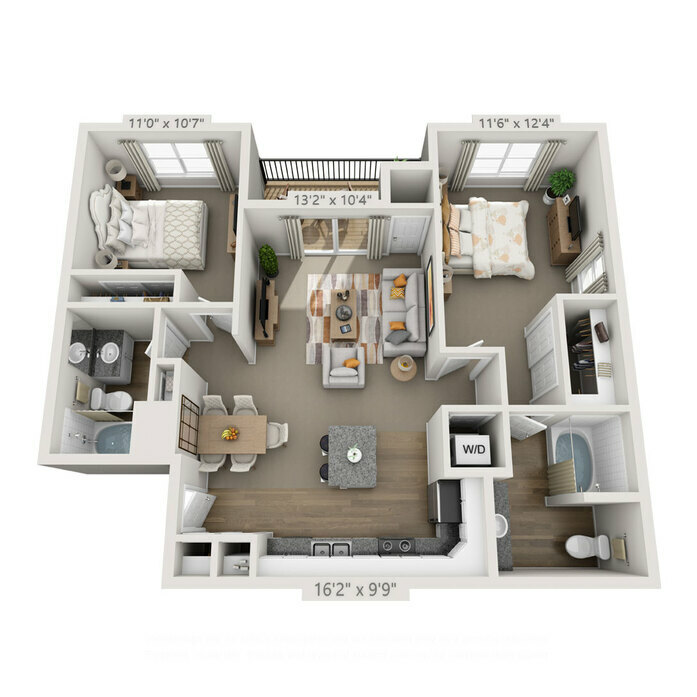 You will appreciate the generous floor plans that provide more than enough space for entertaining guests, along with gourmet kitchens that offer convenience and a touch of elegance. 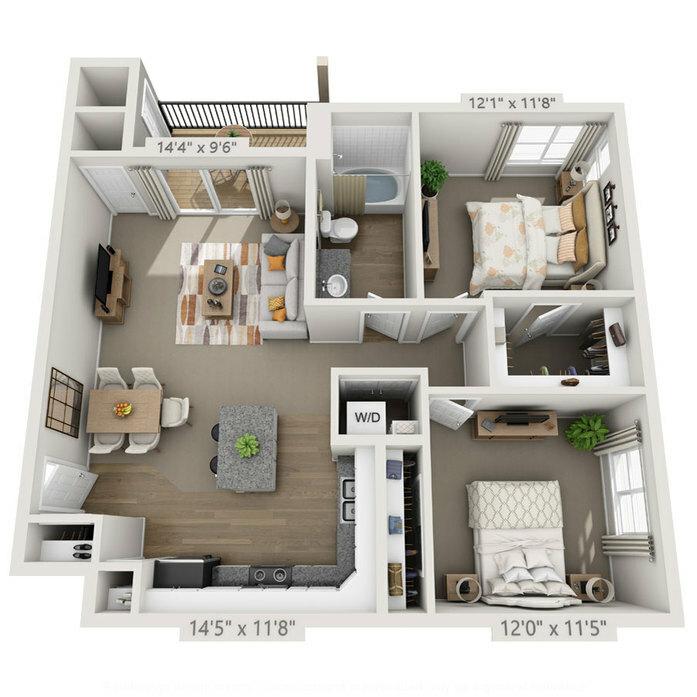 Choose from a one, two or three bedroom apartment and begin your journey at Elements at Prairie Center in Brighton today. Each eco-luxe apartment utilizes geothermal energy, low-flow plumbing fixtures and Energy Star-certified appliances, allowing residents to take advantage of a significant reduction in utility costs. Your kitchen showcases a collection of contemporary finishes, including sleek stainless steel appliances, granite countertops and an expansive island, that transforms the room into a lavish space for meal preparation. Follow the rich wood-style flooring from the kitchen to your private balcony, where you can enjoy a beverage and unwind after a long day. 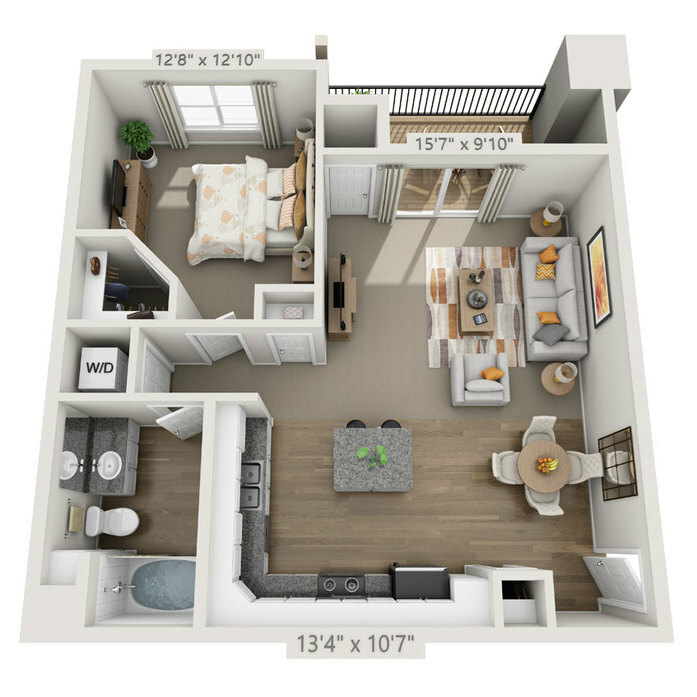 For your convenience, a stackable washer and dryer and a roomy walk-in closet are included as well. 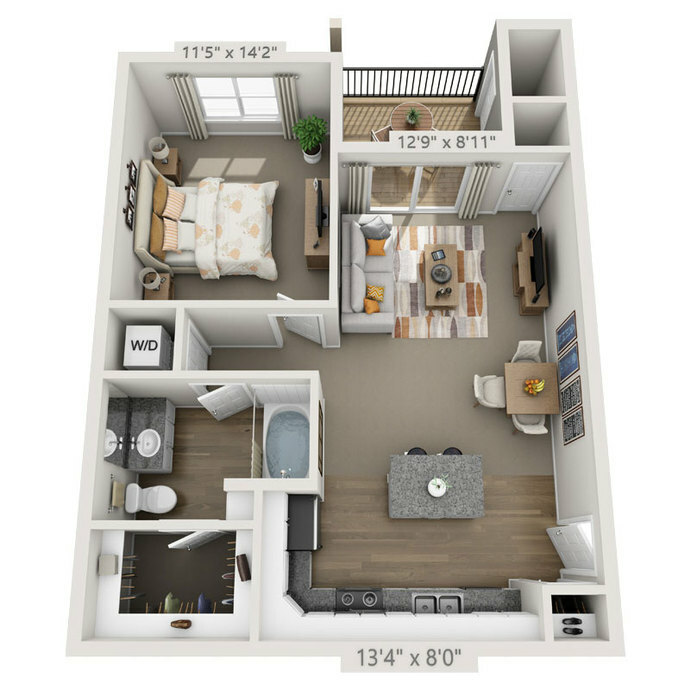 Relax and enjoy all that these apartments have to offer when you lease a home at Elements at Prairie Center. © Copyright 2019. Elements at Prairie Center Apartments. All Rights Reserved.